Our guide to Denver will help you find the best breweries in Denver Colorado. You can tell from its skyline alone that Denver is a major metropolis, with a major league-baseball stadium in the center of downtown and parking-meter rates that rival even Chicago and New York. But look to the west to see where Denver distinguishes itself. You'll be driving along Interstate 70, contemplating the industrial warehouses on the way back from Denver International Airport, and suddenly the Rocky Mountains, snow-peaked and breathtakingly huge, appear in the distance. This combination of urban sprawl and proximity to nature is what gives the city character. People spend their weeks commuting to LoDo, the business district and historic downtown, and their weekends reveling in the multitude of skiing, camping, hiking, bicycling, and fishing areas surrounding the city limits. There are tons of great breweries in the city of Denver, our city guide will help you find the best breweries. You may have a hard time deciding what to do in Denver, but we make your decision easy. Brewing is big business in Colorado. According to The Beer Institute, the state ranks number one in terms of gross beer production, producing over 23,370,848 barrels in 2006. This was enough to surpass California, the long time leader in. It is also ranked third in the country in volume of brewpubs and craft breweries. Denver ranks first in the nation in beer production per capita and second in the number of breweries. Colorado is home to 4 of the top-50 brewing companies in the nation. There are 92 breweries statewide. 1257 W 120th Ave, (303) 451-5767 - C.B. and Potts Big Horn Brewery is family owned and operated since 1971. Welcome to our casual, full service and family orientated location. 150 Kalamath St, (303) 893-0971 - Brewery Bar II is a brewpub located in Denver CO.
4700 Cherry Creek Dr S, (303) 759-0333 - Bull & Bush Brewery is a brewpub located in Denver CO.
520 E Colfax Ave - Three Saints Brewing is a brewpub located in Denver CO.
534 E Colfax Ave, (303) 861-0347 - Cheeky Monk Belgian Beer Cafe is a brewpub located in Denver CO.
8071 Greenwood Ct, (303) 426-8251 - Gnash Brewing Co is a brewpub located in Denver CO.
1037 Broadway, (303) 892-5548 - Motor City Brewery is a brewery located in Denver CO.
1225 17th St, (303) 927-2337 - Molson Coors Brewing Co is a brewery located in Denver CO.
2201 Arapahoe St, (303) 296-9460 - Great Divide brews some of the globe's most balanced yet assertive and flavorful beers. There are plenty more breweries in Denver. 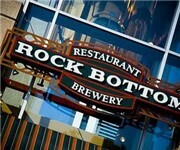 See all breweries in Denver Colorado.